Famously known as the "Challenger," this Robert Trent Jones, Sr. design features narrow fairways, dramatic elevation changes, and a demanding island green par 3 hole (No. 4). 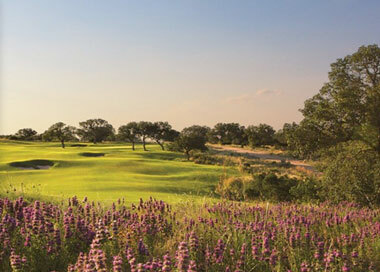 Native landscaping, rugged natural rock outcroppings and the Texas Hill Country views add to its designation as one of the "Top 15 Courses in the State" according to GolfWeek magazine. Scratch players enjoy the challenge of its 62 deep bunkers, 10 water hazards and natural dry creeks surrounding its Crenshaw Bentgrass greens and Bermuda fairways. 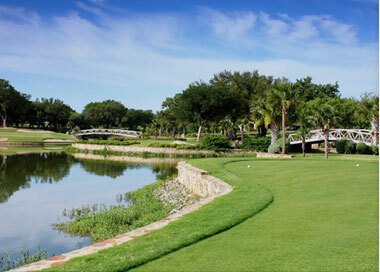 Debuting in 1981, Ram Rock has earned respect for its challenging layout and championship test of golf. It's hosted the Texas State Open along with several USGA qualifying events and other professional tournaments, and has been recognized as one of the world's most outstanding golf courses by numerous publications and golf journals. This challenging hole has treacherous island green. 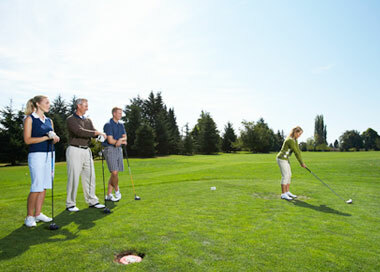 Players must navigate hitting a shallow green completely surrounded by water and sand. 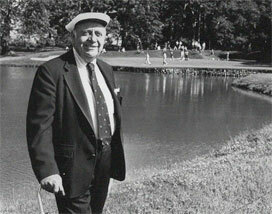 Meet the Designer Robert Trent Jones, Sr.
As the celebrated designer of golf courses around the world, architect, Robert Trent Jones, Sr., left his unique imprint on more than 500 different locations. 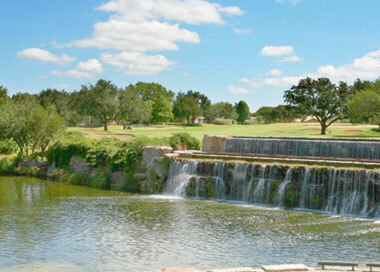 Opened in 1981, Ram Rock received a prestigious 4-1⁄2-star rating from Golf Digest and was named one of the "Top 15 Courses in Texas" by GolfWeek magazine. Cap Rock Falls Pool Bar & Grill is a perfect place to fill up and grab on-the-go drinks before the game or refuel and enjoy scenic views after a day on the course. Shop for the latest gear, apparel and accessories. Demo a new club, pick up balls or talk to our pros about golf lessons, junior camps and tourneys. Only one of four of its kind in North America, this par-72 course is the perfect family or buddy golf activity.